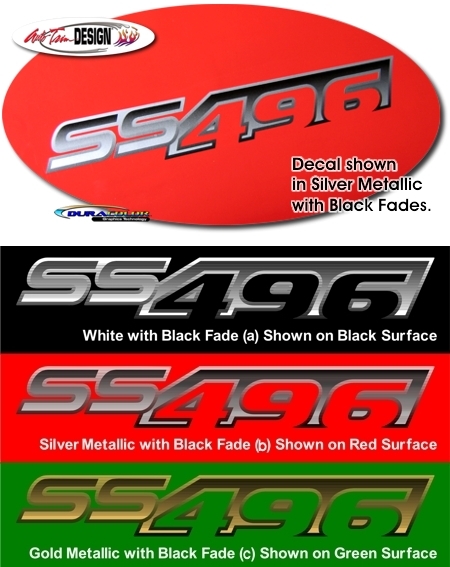 Celebrate the Power of your Chevy Truck or Avalanche's 8.1 Liter Vortec motor with these uniquely designed SS496 decals that can replace the existing easily-removable factory decal. Packaged in a set of two (2) you get to choose from the three (3) color combinations shown. Make your Truck REALLY stand Out!